Houston rent growth pitched in July, decreasing by 0.8 percent over the previous month. Rents in the metro were just 0.1 percent higher than they were last year. A two-bedroom in both Houston and Sugar Land ran a median rent price of $1,500 per month in July. 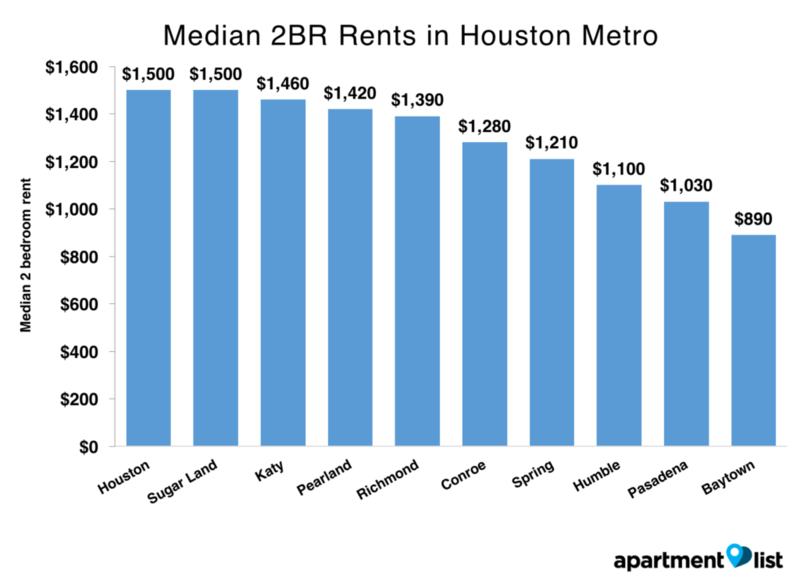 Apartment List recently released its rent report for Houston, where rents decreased by 0.8 percent from June to July. 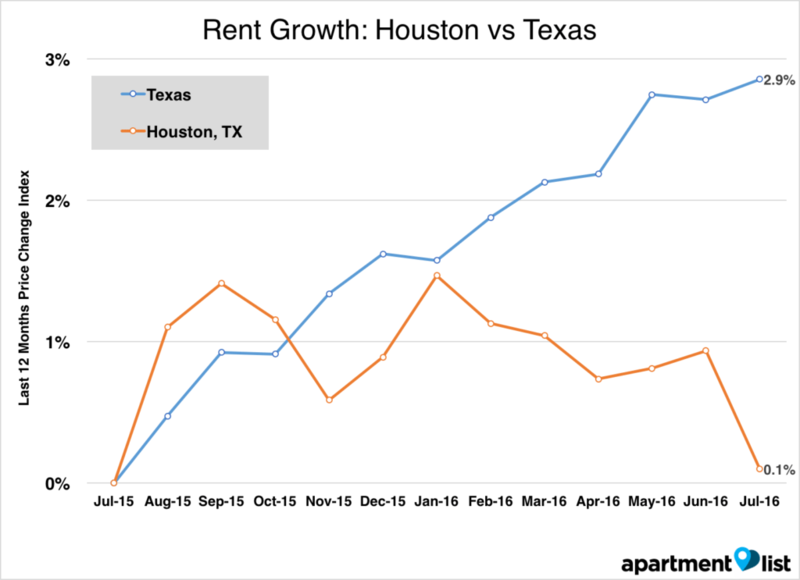 Houston rent growth pitched in July, decreasing by 0.8 percent over the previous month. Rents in the metro were just 0.1 percent higher than they were last year. The median rent price for a two-bedroom was at $1,500 per month in July, while one-bedrooms were at $1,160. In the Houston metro, Sugar Land and the city of Houston were the most expensive cities for renters in July. A two-bedroom in either city ran a median rent price of $1,500 per month. 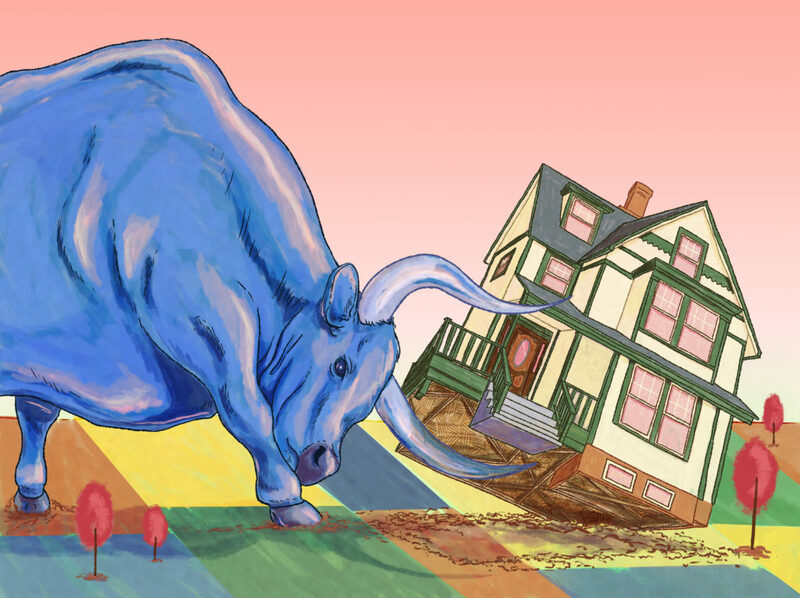 Katy was the third most expensive city for renters in July, with two-bedrooms at $1,460. 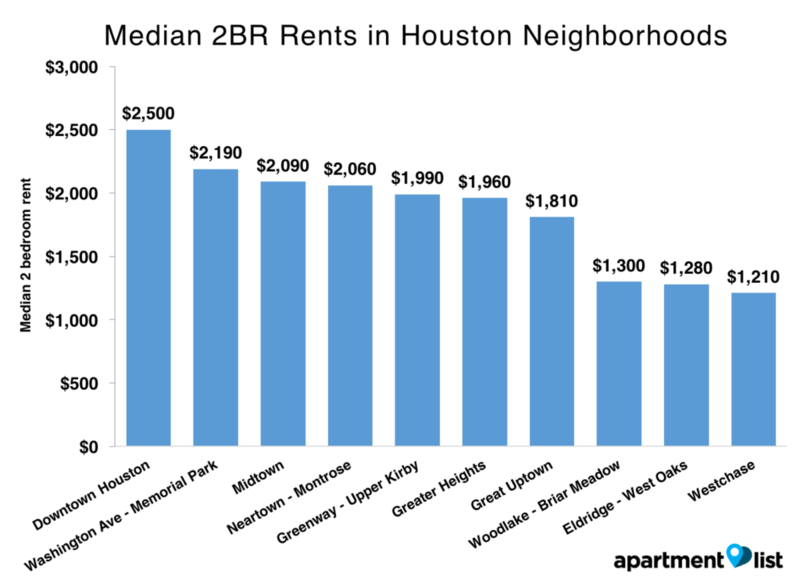 In July, the most expensive neighborhood for renters in Houston was Downtown, with two-bedroom rents at $2,500 per month. The second most expensive neighborhood was Washington Ave-Memorial Park, where two-bedrooms were at $2,190. For methodology and data for other cities and neighborhoods, see Apartment List’s full report.